The Stubbs Hook-On Rug Rail provides a portable way of hanging your rugs. 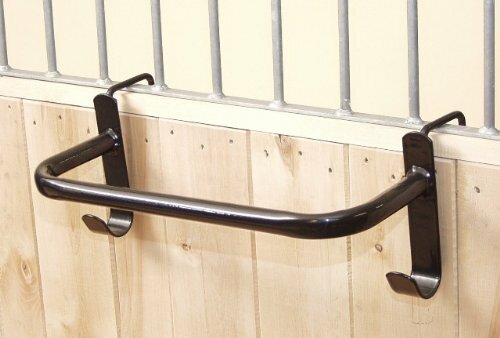 It has adjustable hooks to suit all bar spacing which fold in for transport. There are no fixings so it can be taken wherever you go. It can hang onto walls up to 7cm thick. There are currently no questions for Stubbs Hook-On Rug Rail - be the first to ask one!